Matthew P. Albanese is the founding attorney of Albanese Law, LLC in Milton and concentrates his practice in estate planning, elder law, mental health law and disability law. 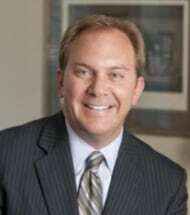 He serves as a member of the National Academy of Elder Law Attorneys as well as the Plymouth County Bar Association and Norfolk County Bar Association, and is affiliated with South Coastal Counties Legal Services and Brockton Area ARC. Mr. Albanese has written articles on estate planning and frequently holds seminars for civic and professional organizations. A former local official, Mr. Albanese chaired the Plymouth County Selectmen’s Association and was a member of the Regional Task Force on Casino Impacts. A staunch advocate for seniors, Mr. Albanese led the effort to expand the senior work off tax program for area residents and has testified before the state legislature and executive agencies on matters affecting the quality of life for the aging and disabled population. He also volunteers for the Council on Aging. Mr. Albanese was a member of the West Bridgewater Lions Club and West Bridgewater Public Schools Strategic Plan Committee. Prior to starting Albanese Law, LLC, Mr. Albanese worked as an Associate with the firm Colucci, Colucci Marcus & Flavin, P.C. located in Milton, Massachusetts. He also served as the Legal Counsel to the Massachusetts House of Representatives Committee on Medicaid. Mr. Albanese has been featured on Money Matters Talk Radio 970AM and WXBR 1460 AM. In 2009, he was named Citizen of the Year by the Rotary Club of the Bridgewaters. Mr. Albanese is a graduate of Providence College, Providence Rhode Island; Suffolk University Law School, Boston, Massachusetts; and Suffolk University’s Sawyer School of Management; Boston, Massachusetts where he obtained his M.B.A. with a concentration in international business.